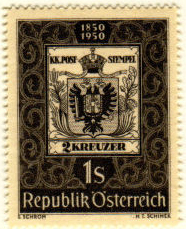 Austria's first issue was on 1st June 1850, celebrated in a centenary commemorative, right, which illustrates the coat of arms design rather better than the pale yellow first issue [the stamp is much paler than the scan]. 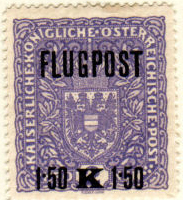 Austria's philatelic innovation was the world's first newspaper stamp in 1851. 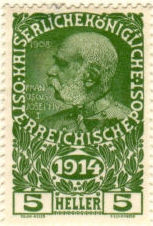 See also Austria-Hungary and Hungary. 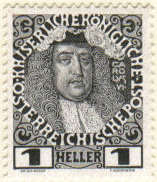 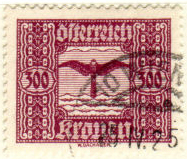 Austria simultaneously issued a stamp for northern Italy, which was then part of the Austrian empire, but was gradually annexed to Italian states over following decades.